The Chelsea 489 P.T.O. is one of the most popular P.T.O.s on the market and is a great example of why Chelsea P.T.O.s are great. It has been designed with reduced mounting time in mind. 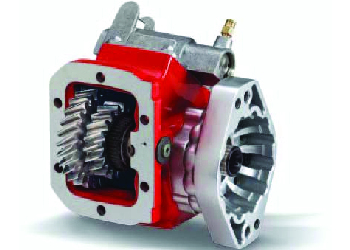 It is a one-piece component made of cast iron and has the same torque capacity as the 442 series. The one piece design is convenient because you only have to buy one piece and less pieces means less leaking and quicker installation. With over 65 years of experience Chelsea has a reputation for high-quality and long lasting parts. The 280 series from Chelsea is a brand new line of high quality PTO’s with a new and advanced design that utilizes the best in technology from the 277 and 278 series. 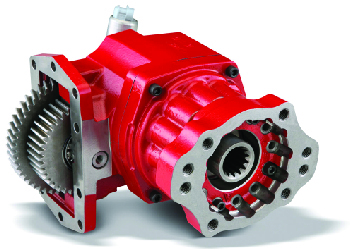 This new PTO features a single continuous duty torque rating with no more intermittent rating. Pump clearance has been greatly improved upon with the rotatable cast iron flanges alongside the Wet Spline Pump Flange option provide 7 to 10 times greater shaft life. The standard output shaft has been heavily improved upon with a new positive stop for Driveline which eliminates the damage that shaft couplings can do to Oil Seals. We offer new PTO’s and hydraulic pumps, as well as being able to rebuild yours. We also offer all the components for your hydraulic needs.